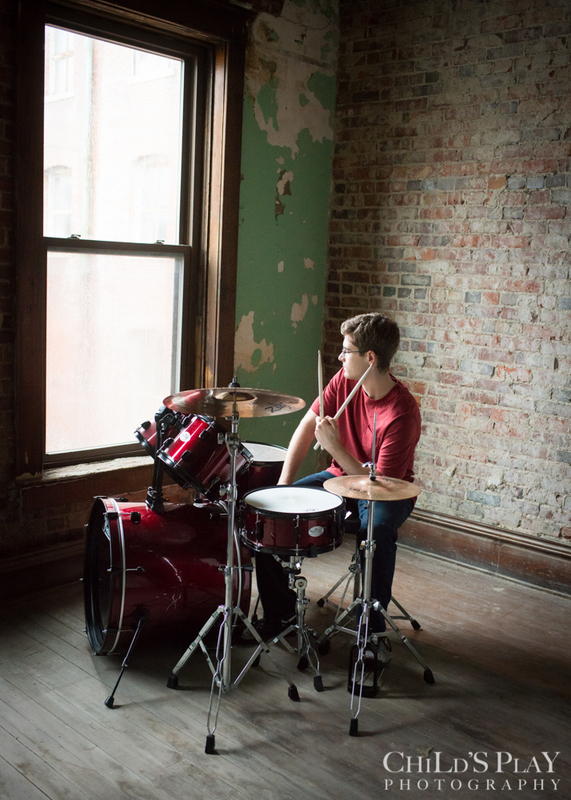 Adam is a drummer, so we of course had to incorporate his drum set into his senior session. I knew of the perfect spot that would create that vintage vinyl cover-like image. It was worth loading and unloading the full set (his kind brother helped). 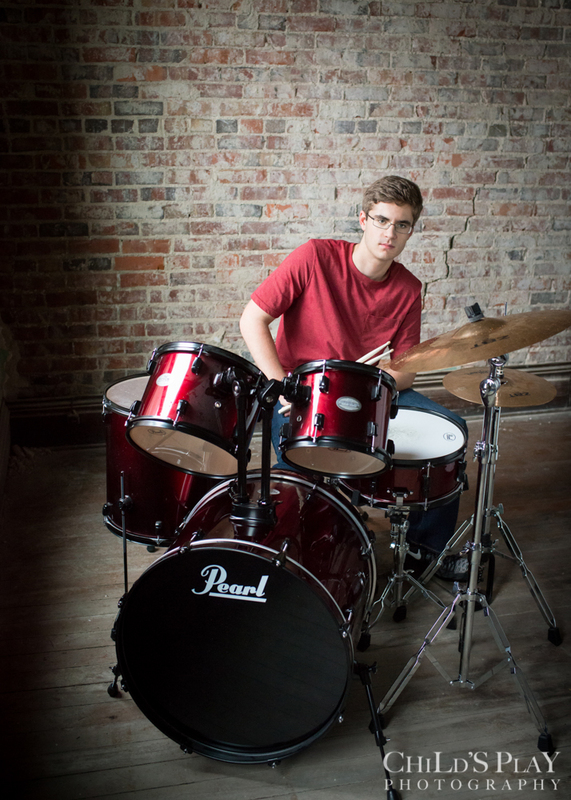 Adam has played percussion since junior high, participating in the pep band, jazz band, and praise band. He’s a well rounded student, also playing soccer, golf and singing in the varsity choir, and is a member of National Honor Society. Adam is a recreational basketball player and a huge NBA fan. We had to photograph not just one but two team jerseys because he couldn’t pick a favorite. I was amazed by his extensive knowledge and detailed player facts. All of the above proves that Adam is a multi-faceted and intersting guy, AND lots of fun to spend an afternoon with (not to mention very photogenic with a great smile). He plans to attend Richland Community College next year. With his multiple intertests it will be fascinating to see what he decides to do in life. I know he will do well. Good luck Adam!